Scotching rumours to the contrary, the Punjab government delegation led by Cabinet Minister Sukhjinder Singh Randhawa, which arrived here on Monday, said they had found no evidence of any attacks or damage to any Gurdwara in Shillong, where the situation was tense but under control.xpressing satisfaction with the handling of the situation by the Meghalaya government, the delegation said though some damage had been inflicted on certain property, no Gurudwara had been attacked or damaged in the recent violence.The delegation, which rushed to Shillong today on the directives of Punjab Chief Minister Captain Amarinder Singh, met the Meghalayan Chief Minister, who facilitated their visit to the curfew-bound troubled areas. 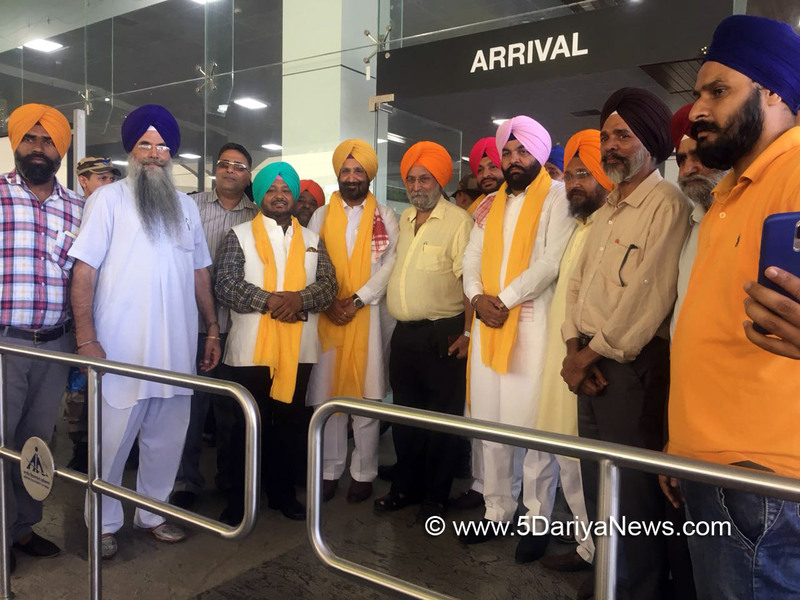 The delegation met the Sikh community in these area and found a long-standing property dispute at the root of the problem, which had escalated into violent clashes last week. Randhawa said they spent nearly three house in the afflicted areas and assured themselves of the safety of the Sikhs living there. The building that had scorched rumours of damage to a Gurdwara was a school under construction, he added.Randhawa said in response to the concern expressed by the delegation, Meghalayan Chief Minister Conrad Sangma had set up a cabinet sub-committee to investigate and resolve the said property case. An all-party meeting was also convened by Sangma to take stock of the situation and ascertain ways and means of defusing the situation, said Randhawa.Besides the Meghalayan Chief Minister, the delegation also met the Deputy Chief Minister, the Chief Secretary and the DGP in order to assess the ground situation and the measures being taken by the state government to control the tension.The Meghalayan CM assured the delegation that he would keep the Punjab Chief Minister apprised of the situation and would continue to personally monitor the same in order to ensure total protection and safety for the Sikh community.Ravneet Singh Bittu and Gurjit Singh Aujala (both MPs), MLA Kuldeep Singh Vaid and DS Mangat (IAS) were accompanying the Cabinet Minister to Shillong.